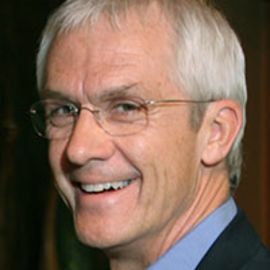 With a unique background as a 25-year vascular surgeon, former hospital chief of staff, and as a founder of a respected wellness program, Eddie Erlandson, uses his education and understanding for the science of stress and change to transform entrenched leadership style habits that inhibit teamwork, innovation and problem solving. Eddie Erlandson draws on a vast knowledge of the physiological aspects of change, challenging thousands of executives to address leadership risks, spawning executive effectiveness and high-performance organizational growth. Through the technique of "Resets," Eddie Erlandson helps individuals modulate their own physiology for enhanced and sustained impact as leaders. As a former surgeon and healthcare executive, executive coach and author, Eddie Erlandson is a memorable and popular keynote speaker, leadership coach and facilitator for effective and collaborative team building functions. Executive teams across industries as various as high-tech, pharmaceutical, hospitals, services, government and sports, have benefited from Eddie Erlandson's contribution and approach to the executive development philosophy Eddie Erlandson helps executives expand their influencing skills by helping them change entrenched leadership habits. He works with executive teams from start-ups to large corporations. Previously, Eddie Erlandson was Chief of Staff at St.Joseph Mercy Hospital in Ann Arbor, Michigan, where he was a vascular surgeon and co-founder of a wellness and executive effectiveness program. With his experience in medicine and leadership coaching, Eddie has developed a unique body of knowledge about how the executive brain works and which tools are most effective in expanding leadership skills. Eddie Erlandson, along with Kate Ludeman, is the co-author of the book Alpha Male Syndrome. The book follows the well-regarded Harvard Business Review article, Coaching the Alpha Male, also authored by the pair. Their first book was Radical Change, Radical Results, published in May 2003. A self-described alpha male, Eddie Erlandson has competed in over 25 triathlons, 45 marathons and three ultra 100-mile marathons. Eddie Erlandson and Kate Ludeman are married. They consult both individually and together, and live and work near Austin, Texas.